There have been a lot of television shows over the years dedicated to interior decorating, house building and all that goes with it. But for me one stands out for all the others and that’s Grand Designs from the UK. I love, love, love this show. I have been an avid follower since it’s beginning and never miss a series. Now we also have Grand Designs Australia and just started here Grand Designs New Zealand. The UK host, Kevin McCloud, has such a passion for good craftsmanship and good design, but he is also well versed in the house building process, so it is sometime difficult for him to hide his cynicism in the house builders expected short time line or optimistic budgets. Nevertheless there is no denying that what these house builders create is sometimes nothing short of amazing, maybe not always to my taste, but amazing anyway. It often gets me thinking about building my own house, the luxury it affords you to be able to create your perfect layout and space. And yes I could be deterred by the fact that 99% of the people on this show go over budget (sometimes way over!!!! ), over schedule and well out of their minds, but having your dream home………. What would style would I have? Would you I go modern or traditional? Where would I build? How many bedrooms? Or bathrooms? Hours could be spent mulling these things over. 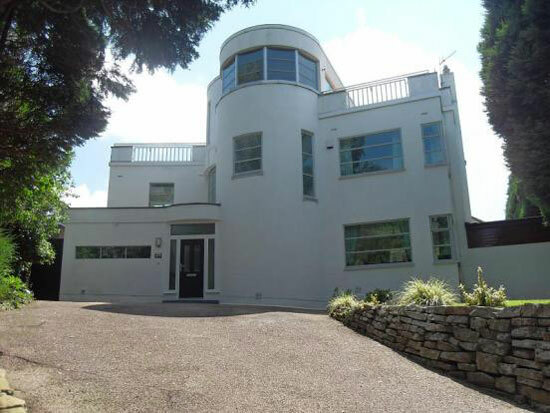 However, I am and always have been drawn to Art Deco architecture. Those curved walls, decorative details and thin metal window frames. That would be my style, I am particularly drawn to crisp white walls, thin black window frames, the occasional elegant curve. 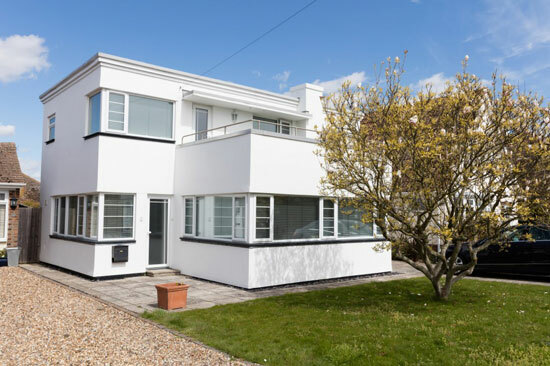 1930’s house, Poole, Dorset, UK. Architect unknown. 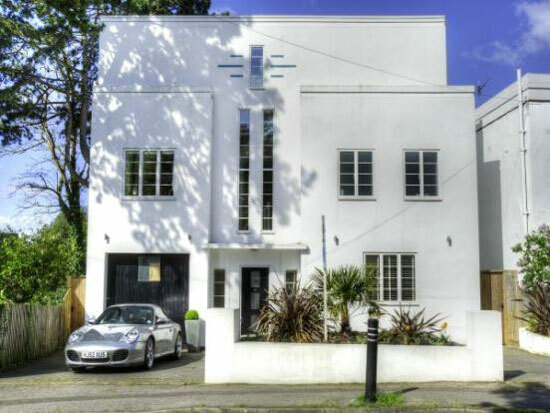 When I see one of these houses, I instantly think summer holidays, cocktails and Agatha Christie books. All of which are fine by me. I would happily live in any one of these, especially if it had a beautiful coastal setting. What’s your style? If you could build your dream home what would it look like? Next ›I owe you one. I’m with you. 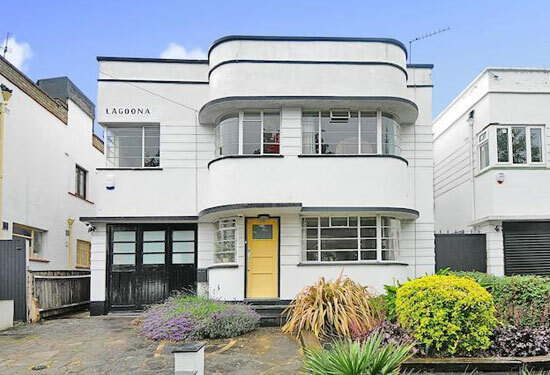 If I am ever fortunate enough to be in a position where I can build my own house it would certainly be in the 1930s modernist style. Failing that I’d buy an original one to restore. Hi Philip. I just took a look at your blog and love it. 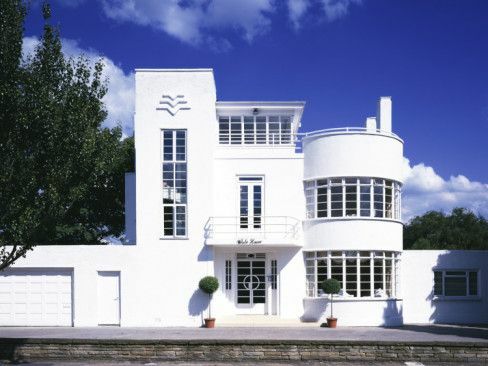 There is so much about Art Deco design to love. Architecture, interiors and jewellery would have to be my particular favs.